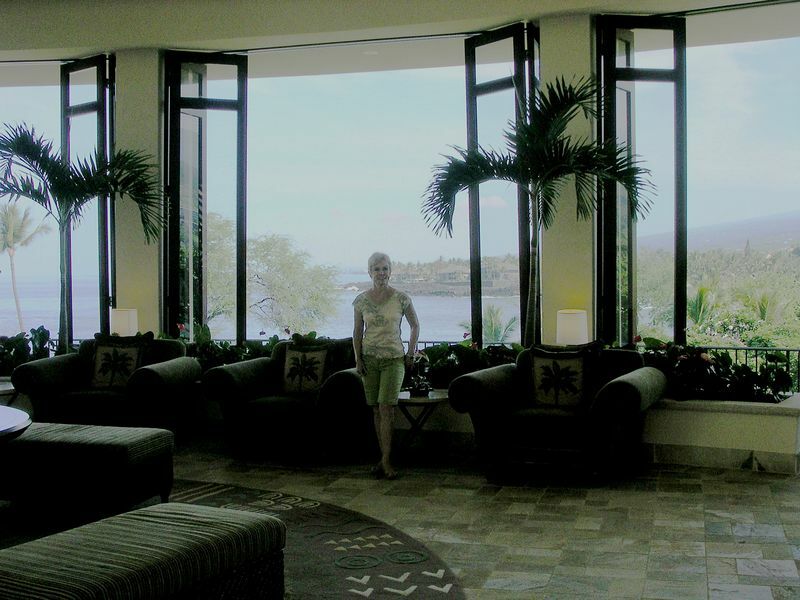 Mom at our hotel lobby in South Kona overlooking Keauhou Bay. The point facing the ocean to Mom's right at the entrance to the bay is one of the places where the manta rays come to feed at night when the hotel lights are shined out into the water. Unfortunately, we missed the opportunity to go snorkeling with the mantas (another "next time") but we were able to see them from the bar at the hotel. The water was so clear when the lights were shined we could see the reef. It was beautiful!